What is a PMP® credential? The PMP® credentials stands for Project Management Professional®. The PMP® credential is offered by the Project Management Institute. It is a credential that validates your our project management experience, knowledge and skills. Project Managers need analytical thinking, sound logic and reasoning skills, to be good at what they do. Preparing for the PMP Exam helps improve these skills as well as many other industry best practices that are concurrent with business best practices. The PMP is now a global standard for project management. Employers in the know, seek out PMP certified employers for management positions or prefer to hire them over others. A lot of the PMP® Examination is knowledge based analytics. Business Managers also do a lot of projects. They often don’t call them projects. A project is simply a temporary endeavor (has a start and finish date) that has a unique outcome – either a unique service, product, result or process improvement. Why Earn a PMP® credential? The class will also bring your attention to organizational awareness, diversity awareness, millennials, strategic goal and objectives and how they are used to manage projects, benefits realization, benefits management, benefits evaluation, risk, quality, stakeholder relationship management, planning and frameworks, leadership, and leadership skills, types of leadership, team management, business acumen, decision making and analytical techniques. A PMP® credential validates your abilities as a project management professional. Without the PMP® certification, it is difficult to justify your project management qualifications in today's working environment. A degree in project management is not as important or as prestigious as the PMP® credential. The PMP® Exam is a challenging Exam that validates that you have what it takes to be a project or program manager. Failure to be able to pass the exam is a red flag on your project management best practices knowledge and therefore a blotch on your project management capabilities or your analytical capabilities. The majority of jobs today – including technical jobs – require the PMP® credential to qualify for the position. 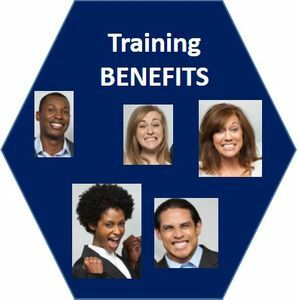 Some people come to our training who were fired because they did not receive a PMP® credential even though the company paid for training. Therefore, if someone needs to transfer to another job, they may not be able to get one without the PMP® certification. The PMP® credential validates your experience as a project manager, validates your capabilities, and validates your value to the company. Project Managers who have the PMP® certification usually get paid more. This is a plus. Just search jobs on Google and you will readily see this is true! "1.	pmp Jobs | Monster.com experience is required for one of the positions; PMP is required for both...."
You can probably think of a lot more benefits. PMI, PMI-PBA, PMP, PgMP, CAPM and PMI-ACP are the registered marks of the Project Management Institute, Inc.